Between The Buried And Me’s career path has taken all the necessary avenues to becoming tech-death icons, and the fact that they still seem to be pushing themselves eight albums in is a testament to their dedication to the craft. They’ve earned enough praise to easily slim down into a much more straightforward metal band, but their focus on hefty humanist concept albums illustrates a desire to eke out as much potential as possible from their music. In reality then, it makes sense for their 2018 output to be a double album exploring the idea of projecting one’s dreams to the general populace for entertainment, and the overall effects such a process would have on the dreamer. Such Orwellian visions have never been out of the band’s wheelhouse, and even the ambition of two full albums in one year doesn’t seem out of the question. It might be a little perplexing that Automata I is the band’s shortest full-length by some distance, but even then, it’s only six tracks long, and it’s still another weighty behemoth of a listen with all the technicality and imagination that Between The Buried And Me have frequently excelled at. But even then, there are distinct moments of accessibility within Automata I that show Between The Buried And Me at the peak of their melodic powers, especially in dreamy electronics and keyboards of House Organ which definitely have a few callbacks to Muse’s sweeping drama. Millions is a similar case in its progression from more full-force djent slamming to tranquil, ethereal rippling overlaid with Tommy Giles Rogers’ spectacularly ranged vocals. There’s such a stridently dreamlike quality to a lot of this album that matches the content extremely well, even if the minute-long interlude Gold Distance feels slightly unnecessary and doesn’t flesh out the concept any more than it already is. But of course, the main appeal of Between The Buried And Me comes from their sprawling tech-metal opuses, and even in the heavy process of truncation that Automata I has undergone, those enormous pieces remain the key focal point. They remain suitably diverse too, taking in elements of the soaring modern djent of a band like Periphery; harsh, dissonant mathcore on the closer Blot; and on Yellow Eyes, a Jonathan Davis-esque vocal timbre that twists its darkly morphing nine minutes into something even more sinister. There’s a staggering amount of weight behind effectively everything that Between The Buried And Me deliver here, particularly behind Paul Waggoner and Dustie Waring’s shapeshifting guitar lines that, even in the shorter tracks, never remain stagnant or uninteresting, and are always able to develop some level of ferocity. 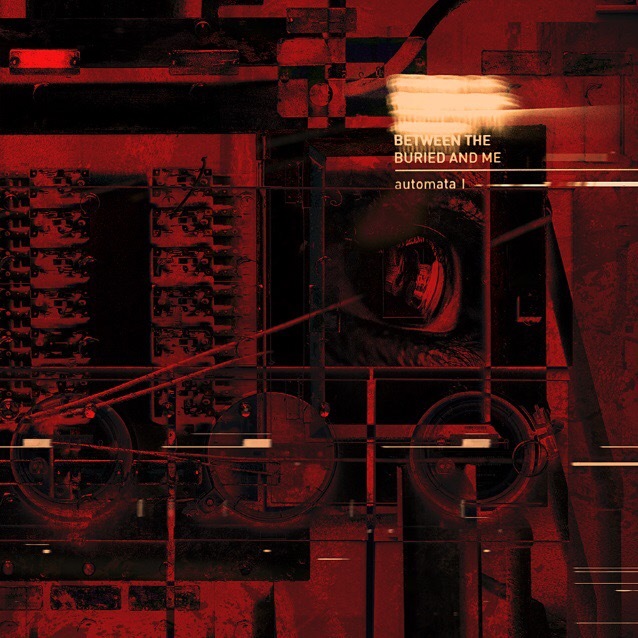 As well as a cold, clinical production job that actually works to their advantage here, snarling every metallic edge and serving as more complementary material to a dystopian setting, Automata I is one hell of an engrossing listen, even if it is essentially only half an album. And that’s an achievement, too. For as shaky as the staggered double album release can be, particularly if either half feels too slight or underworked, Between The Buried And Me feel as though they’ve every single element under control. Even if this was the full, self-contained work, Automata I would still be impressive by anyone’s standards, diverse yet cohesive and with the metallic edge and incisive to stand on its own as an immersive listen. The second installment is supposedly due this summer, and if it’s anything like this one, that’ll be some treat indeed. ‘Automata I’ by Between The Buried And Me is released on 9th March on Sumerian Records.